Would you like to be a fantastic football player? 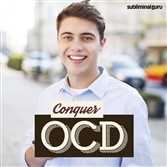 Want an effective way to achieve it that's almost effortless? Football players need top-notch ball handling skills. They need to know their way around the field, passing and throwing when the opportunity arises, and keeping the opposing team off their guard. With the Improve at American Football subliminal session, you'll tap into the latent sporting genius within! As you listen, thousands of powerful positive affirmations will reprogram your mind, helping unleash your natural playing ability. You'll play instinctively, knowing exactly what to do and when to do it to move your team forward. You'll set up plays that gain your team yardage, putting them in the perfect position to score touchdowns and field goals. 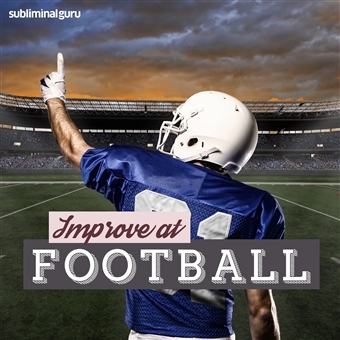 Download the Improve at American Football subliminal audio now to become the first-class football player you always wanted to be. I am a fabulous football player. I'm an important member of the football team. My team mates can rely on me. I keep myself in game-ready shape. I train hard during every session. I practice my football skills diligently. I run fast and cover the field quickly. I stay focused on winning every game. My football skills get better every day. I am a football legend.